Top Loader washing machines have always been big sellers in the Australian market and with recent design improvements, have become even more popular. A key trend has been the demand for machines with capacities of over 10Kg catering for larger families or people with busy lifestyles. 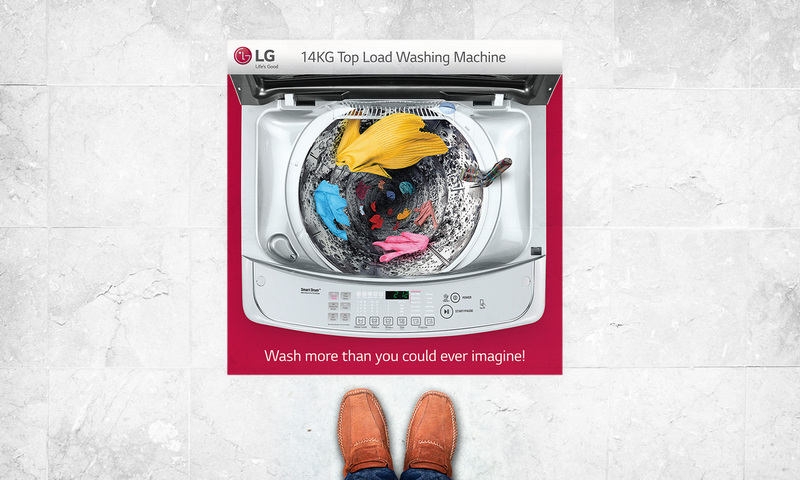 To capitalize on this new buying trend, LG launched their largest ever 14Kg top loader. They needed a way to position it against other large capacity competitors. We noticed rival brands always talked about capacity rather than focus on the actual lifestyle benefit of a larger machine. Our response was to put ourselves in the customer’s shoes and communicate the clear advantage of doing a whole wash in one go. 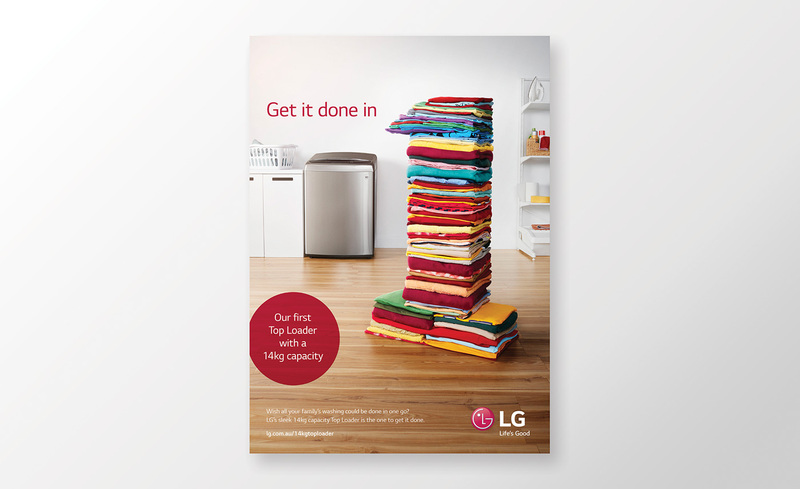 With a LG 14Kg top loader, they’d save time by not having to load a smaller capacity machine two or three times. No one enjoys doing loads of washing – time spent loading and unloading multiple washes is time you never get back. Our idea was to communicate how, with a 14KG Toploader, a huge pile of washing could be easily done in 1. To give our idea visual impact, we turned the ‘1’ into a huge stack of washing positioned next to the machine. This idea carried over to animated banners digital and dramatic point of sale executions.